Before purchasing a home, buyers have the opportunity to complete an inspection of the building and property. A home inspection allows the party to closely examine a house with the aim of determining whether the property offers everything that’s needed, lives up to its portrayal in the marketing photos, and most critically, is worth the asking price. What should be inspected during a home visit? The kitchen, living room, and master bath are certainly highlights, along with landscaping and the proximity of neighbors. But what’s often overlooked is the home’s plumbing system. The condition of plumbing features, especially the shower, water heater, and sewer pipes, can dramatically affect the value of a home. When plumbing is modern and well-maintained, it can turn an average property into a solid investment. Conversely, a bargain house that needs extensive plumbing repairs can quickly become a financial nightmare. Due to climate, water quality, and other factors, plumbing problems differ by region. If you’re buying a home in North Central Florida, you’d be wise to consult plumbers in Ocala who can point out universal as well as locally specific plumbing issues. 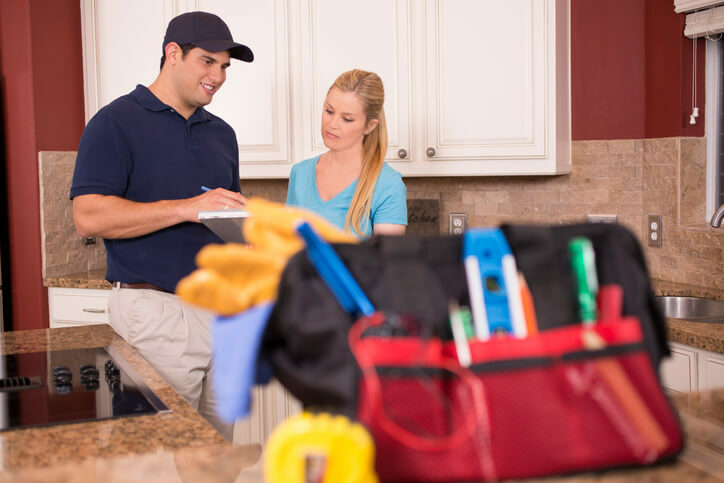 For your next home inspection, Sunshine Plumbing & Gas suggests the following plumbing checklist. Water heaters have a life expectancy of about 10 years (give or take a few years based on whether it’s a gas or electric water heater), and water heater replacements don’t run cheap. Proper maintenance extends the lifespan of a water heater by a few years and helps the unit operate efficiently, which cuts energy costs. Make sure to inspect the water heater in any home that you plan to buy. Has the water heater been replaced or serviced since the home was built? Does the tank show warning signs, like rust or mineral buildup, that it could rupture and cause an expensive plumbing emergency? Since Florida homes seldom have basements, most water heaters are located in crawl spaces or utility closets on the first level, and they’re almost always next to the wall, never in the middle of the room. If you’re having trouble finding the water heater, track the water pipes or call a plumber. Don’t give up — it’s too important not to inspect. Here’s what to look in a water heater inspection. Turn on any faucet in the home, such as in a bathroom or the kitchen, and set the temperature on the handle to warm. Observe the length of time the water takes to heat up. A long wait could signal the unit’s heating elements (most units have two heating elements) are worn and need replacing. If there’s no hot water, that can indicate a faulty power (gas or electric) connection. Check that water flowing at its highest temperature isn’t scalding (120 degrees Fahrenheit or above), which would indicate the temperature setting on the water heater should be turned down to 100 degrees Fahrenheit or below. If adjusting the thermostat — usually found behind the access panel on the side of the tank — doesn’t solve the water temperature problem, the thermostat may be faulty. Drivers include maintenance records when selling a vehicle; homeowners should do the same with records of plumbing service and maintenance. These documents can tell you the age of the water heater as well as how often it received maintenance. Take advantage of these documents by reviewing them if possible. A water heater is pressurized inside. The TPR valve releases excess pressure that might cause the tank to rupture. The valve resembles a standard water spigot, like those found outside on the side of the house. Inspect the valve to confirm that it is firmly attached, unobstructed, and aimed in a safe direction, usually towards a drain in the floor surrounded by a protected discharge container. You can quickly open the TPR valve to make sure that it works correctly. However, if you’re not familiar with how to open the valve, let a plumber handle that part of the inspection. Check whether it is a gas or electric water heater, as this will tell you the approximate lifespan of the unit. Gas water heaters last 8 years to 10 years, while electric units last 10 years to 15 years. Here’s how to tell the difference: a gas water heater is connected to a gas supply line with a control valve, usually located at the bottom of the tank; an electric water heater has an insulated electrical cord, typically inserted at the top of the tank. During a plumbing inspection, you don’t need to inspect every inch of pipe for rust or test the fit of each nut and bolt. What you’re looking for are significant problems. You see plumbing every day. When things aren’t right — strange sounds or vibrations, fluctuating water temperatures or pressures, errant water leaks, condensation, or other signs of water damage — you’ll know it. An inspection is an opportunity to find anything that’s out of the ordinary. Of course, when you find a plumbing problem, you’ll need a plumber to address it. Start with a price quote. After factoring in the costs plumbing repairs, you’ll learn whether a prospective house for sale is worth its listed price. In some cases, bringing plumbing problems to the seller’s attention can lead them to reduce the sale price, making the home a more attractive investment. Here’s what to do on your next plumbing inspection. Whether you’re in a one-bedroom condo or a multi-floor mansion, you want to know every water faucet works as it should. Test all of the bathroom and kitchen fixtures, including sinks, bathtubs, and showers. You’ve already confirmed the status of the water heater, so what you’re looking for now are water leaks — streams pouring from the base of the faucet; droplets forming after the water is turned off; a slow dripping underneath the sink. Isolated and minor leaks are seldom a cause for concern, as they usually can be fixed with new o-rings or sealant. Severe leaks are worrisome, however, as they typically indicate the fixture needs replacing. A few water leaks are par for the course in older homes with original plumbing. But new constructions and recent renovations shouldn’t have issues with plumbing. If they do, that can be a sign of shoddy work and a bright red flag to any homebuyer. Floridians want to conserve water, yet many are split into one of two camps: those who drink tap water and those who buy bottled water. Most North Central Florida residents get their water from the Floridan aquifer, one of the cleanest freshwater sources in North America. As Ocala plumbers, we advise customers that the water is usually safe to drink, but the plumbing is a risk factor. Rust or mineral buildup in water supply lines can compromise drinking water. You can test the water quality in a home by collecting a water sample and taking it to a lab, although it’s more cost effective to have a plumber come out and inspect the pipes. Check if water supply lines are insulated or located within insulated walls, as frozen water can cause pressure build-ups that rupture pipes. North Central Florida has fair enough weather that frozen pipes aren’t a huge concern, but insulating them still proves useful during unexpected cold spells. Do you still have questions? Or maybe you need a master plumber to handle the inspection? Sunshine Plumbing & Gas can help! We’ll take care of your plumbing needs so you can make an informed home purchase. Call us today to schedule an appointment!